Vadra is being interrogated in a money laundering case relating to a London property. Vadra was reportedly questioned for eight hours during the day. Reports say that since Wednesday, he has been interrogated for about 24 hours. A portal said the focus of the interrogation was on his alleged links with controversial arms dealer Sanjay Bhandari. Vadra claims that he is being targeted for political reasons; he is the brother-in-law of Congress President Rahul Gandhi. Reports say that today Vadra was grilled about properties worth around 12 million pounds in London that allegedly belong to him in eight hours of questioning. The businessman was also asked about other key people allegedly involved in the case like Sanjay Bhandari and his relative. 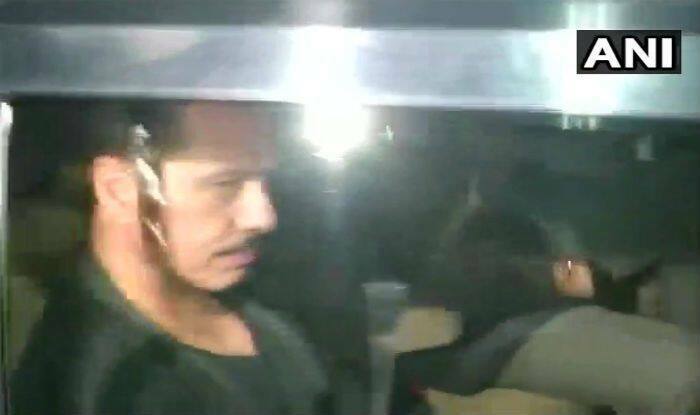 Reports said Vadra had arrived at the agency’s office in Central Delhi at about 10.45 AM. His wife Priyanka Gandhi Vadra, who had dropped him off at the ED office on both Wednesday and on Thursday, picked him up on Saturday. The money laundering case involves allegations of money laundering in the purchase of a London-based property. On Thursday, investigators had reportedly confronted Vadra with some e-mails purportedly between him and Bhandari’s London-based relative Sumit Chadha. In the emails, according to a leading portal, Chadha asked for reimbursement for the renovations made at the mansion. The EC has told a Delhi court that it has information about various new properties in London which belong to Vadra. These include two houses, six flats and more properties. Sources said Vadra’s statement was recorded under Section 50 (powers of authorities regarding summons, production of documents and to give evidence) of the Prevention of Money Laundering Act (PMLA). Vadra is also expected to depose before the ED on February 12 in Jaipur in another money-laundering case related to an alleged land scam in Bikaner.